Transmissions are crucial to your vehicle functioning properly. If your transmission isn’t working, you may not be able to shift into drive, reverse, or any other gear. If you drive an automatic vehicle and you’re experiencing transmission issues, your vehicle may not shift itself at the appropriate times causing excess ware on the engine. Remember to check your transmission fuild and change it regularity. It could be the difference between a healthy transmission that lasts and having to pay for transmission repair. If you think it’s time to get your transmission fluid checked out or changed, stop by the service drive at Speedcraft Nissan. Our highly-trained and Nissan Certified Technicians have years of experience dealing with all vehicle maintenance including transmission services. Our service team has worked tirelessly to earn a reputation as one of the Providence area’s most trusted service shops, and our technicians are committed to working just as hard each and every day in order to maintain that reputation no matter how big or small your service need is. When doing any sort of service or maintenance to your Nissan vehicle, our trusted technicians use only genuine Nissan parts. 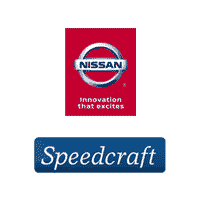 Nissan parts have been specifically designed for your Nissan vehicle, and not any make and model like other parts. The engineers at Nissan have put their parts through rigorous testing throughout the years, and the result is genuine Nissan parts that allow your vehicle to perform at its best.